BEST SELLERS: The Other Side of Me, Stranger in the Mirror, Rage of the Angels, Are you Afraid of Dark and many others. Ashley - elegant yet haunted...Toni, sultry as well as vivacious...Alette, lovely and totally without conceit...three beautiful young women suspected of committing a series of horrifying murders. One of the most bizarre murder trials of the century is about to begin - and reveal an astounding, startling piece of medical evidence almost impossible to believe. Sweeping from London to Rome, from Quebec to San Franciso, this latest tale from the world's reigning master storyteller is so much more than a mystery: It is a searching, riveting and finally triumphant foray into the dark, wild depths of human heart. Alette Peters: Alette Peters could have been a successful artist. As far back as she could remember, her senses were tuned to the nuances of color. She could see colors, smell colors and hear colors... She was shy and soft-spoken. "Why are you interested in that stuff?" Toni Prescott would ask her. "Come on to P.J. Mulligans with me and have some fun." "Don't you care about art?" Toni laughed. "Sure. What's his last name?" There was only one cloud hanging over Alette Peters' life. She was manic-depressive. Her mood swings always caught her unaware, and in an instant, she could go from a blissful euphoria to a desperate misery. She had no control over her emotions. Toni was the only one with whom Alette would discuss her problems. Toni had a solution for everything, and it was usually: "Let's go and have some fun!" 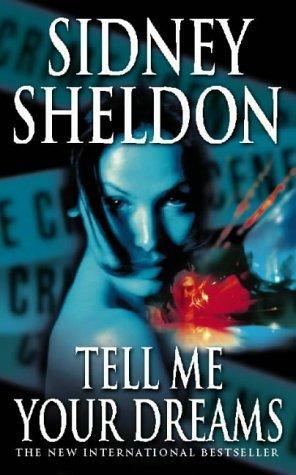 MSM Speaks: This was my first Sidney Sheldon book, 6 years ago. I remember being curious, thrilled to the core with every turning page. That is how Sidney hooks his readers. Like his many works, women play a crucial role in this one too. Ashley Patterson is a computer genius but has off late, been feeling very anxious that someone is following her. She even has evidences...her undergarments drawer has been gone through, all the lights of her apartment are on, when she had double locked-everything. She was sure, someone was stalking her. May be it was Dennis Tibble, the guy who had been trying to hit on her...Ashley was confused and terrified. All men wanted only one thing. Toni Prescott hated Ashley. She thought Ashley was no fun. She was from London and loved parties, wearing short dresses and heavy makeup. She also loved the Internet...new people...everything used to be fun...but then, they would ask the same question, "Where baby?" and she would sign out. All men wanted only one thing. Alette Peters was a shy, pretty girl of 20 years. She loved painting and colors and was from Rome. She always used to be coy and was involved in charity. An old woman once said to her, "Dear, if I had a daughter, I'd want her to be exactly like you. " And Alette's inner voice would say, "If you had a daughter, she'd look like a pig like you." Alette would be horrified of her thoughts. These three women work at Global Computers, with Toni and Alette together, who would make fun of Ashley as Miss Goody-Two-Shoes until a serial killer was let loose. 5 murders have taken place, all men, Stabbed to death and castrated. And all the places have evidences that lead to a bizarre connection these three women have. They realize a freak connection between themselves. Trial starts after the Suspects are arrested and the most weirdest medical theory crops up. Now it is on the Defense Lawyer David Singer, a Corporate lawyer who has no practice in Criminal Law but is under a serious obligation, to prove whether such medical situation could be a basis to let someone free. Now this is what I call a Thriller. It drops subtle hints but you can never figure out the real thing (Unless of course you ain't reading for the first time). The moment I thought I am getting the story right, something unpredictable pops up. Loved it! I finished it in few hours. And then I felt like I wanted more. To know more. Sidney knows what he writes. Additional Note at the end of the book shows that. MSM Recommends this. Sydney sheldon spins good mysteries. @Smita: Thank you, love! :D :D I knowww, Sidney had a way with words. This is his one of the best works...I have read it the third time now... :D :D And... yes, the reviews here are very good. (And no, don't include me in it... I am just learning :D :D) Mwaah! the only Sheldon book i read twice !! One of my favourite books of all times - esp then.. when the concept of it was so new!!! :) Nice review! This is one of my favs from Sheldon...others being Memories of Midnight,Rage of the Angels,Master of the game and Windmills of the Gods.